In this tutorial I show how to install C++ and setup Visual Studio Code for C, C++ and Arduino development on Windows. Click here if you are a MacOS user. 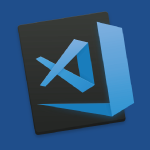 Here is the link to Visual Studio Code. I also received questions on what Arduino kit I plan on using in my upcoming tutorials. If you get the Unable to open ‘PIO Home’ error, here is the fix. If you like videos like this consider donating $1, or simply turn off AdBlocker. Either helps me to continue to make free tutorials.